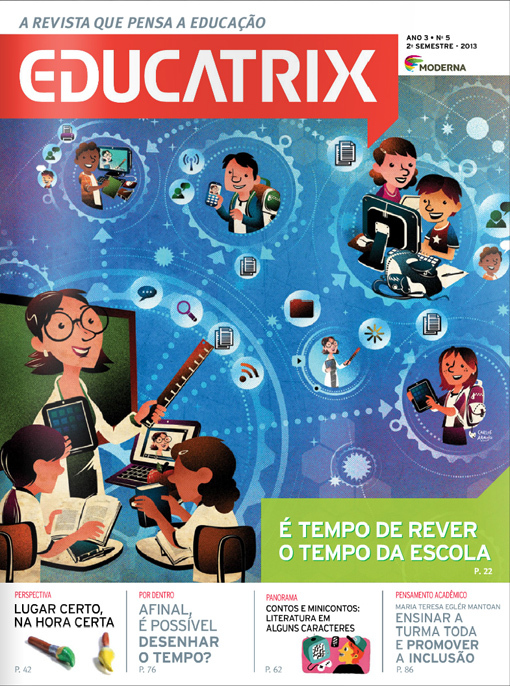 This month’s Educatrix Magazine – A Brazilian magazine about education – features cover and main article illustrations by Carlos Araujo. 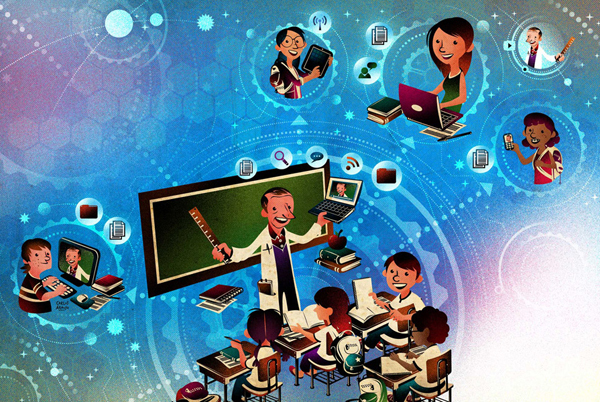 The article tells us about how technology changed the dynamic between teacher and student inside the school. The real space and the collective time of the classroom interacts with the virtual space and individual time of each student bringing us a new perception and concept of time inside and outside the traditional space of the school.